This is delicious but so decadent - you only need a little piece! And it is so easy to make - a one bowl wonder! Preheat oven to 160 C and line a brownie tin with grease proof paper. Set up a double boiler and add chocolate, butter and sugar to it. Once all melted take off heat and stir in eggs, then the flour. 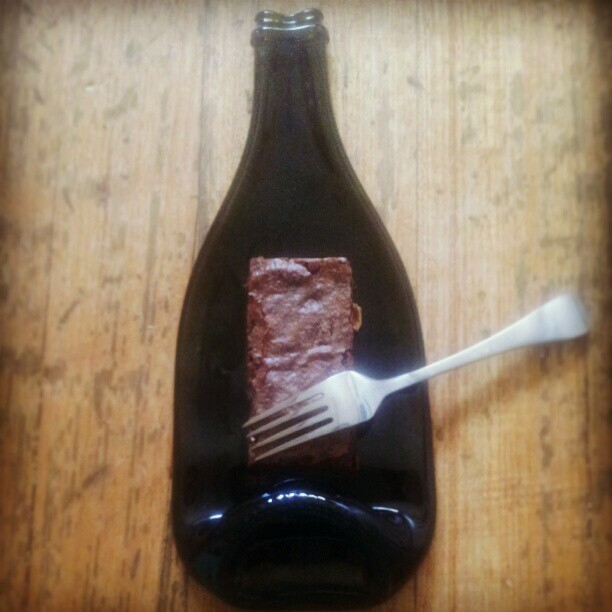 Pour into brownie dish and bake for 15 minutes. Allow to cool in tin and then cut into small squares. I might try this with almond meal. I know, not the same but the kids will love me! Haha!